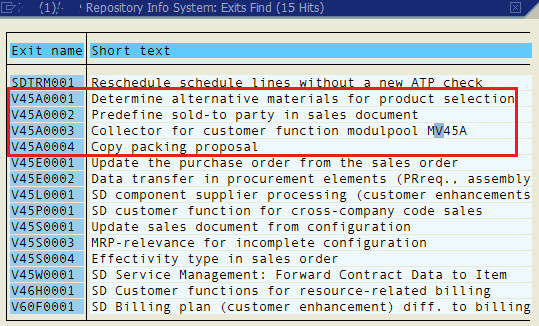 ABAP developer can find a list of user exits used for any SAP program or transaction code using SMOD transaction. If you know the program name, launch SE38 and check the package name that the program is created in. Actually there are numerous ways to learn the program name or the transaction code for a program that is running on SAP GUI. 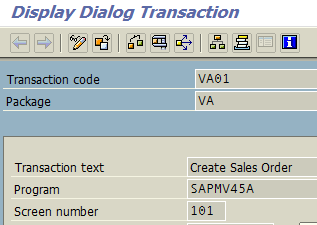 For example, if you launch SAP VA01 transaction code of Order Entry screen, by using the SAP GUI tray on the bottom right of the screen. Or launch SE93 Maintain Transaction tcode and type the transaction name, VA01 and press Display F7 button. 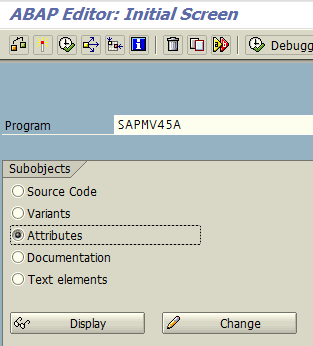 If you know the ABAP program name, launch SE38 and type the program name, select "Attributes" option. 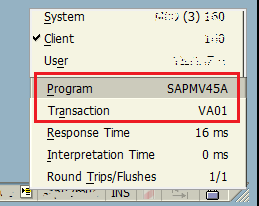 After we have the ABAP package name VA for the SAP program SAPMV45A or transaction code VA01, launch SMOD transaction. When "Input Help Personal Value List" popup screen is displayed, click on Information System button. 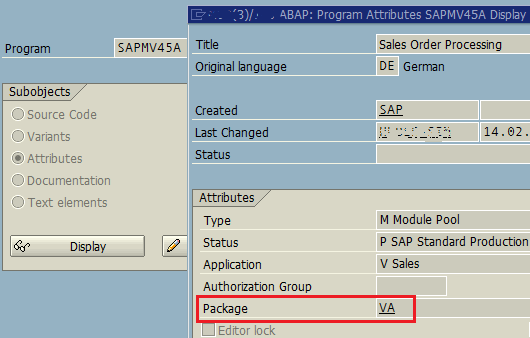 In Package textbox, type the name of the ABAP package that the program is created in. 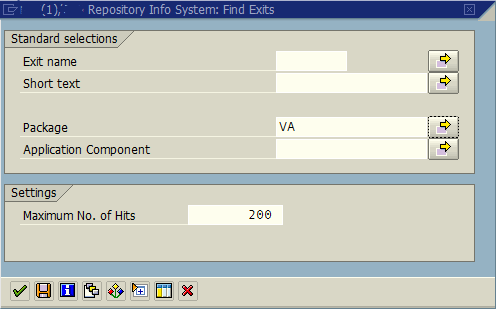 A list of user exits created for the related ABAP package is listed as a result. 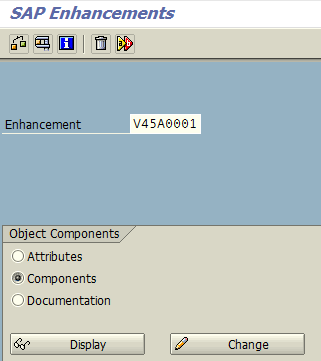 I marked the user exists that are related with ABAP program SAPMV45A. 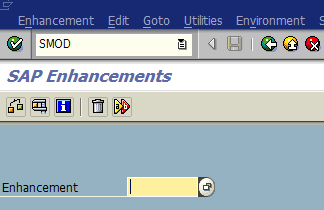 You can filter the list for the target user exit by comparing the names and using the description of the user exit. For example, you think V45A0001 is related for your requirement. 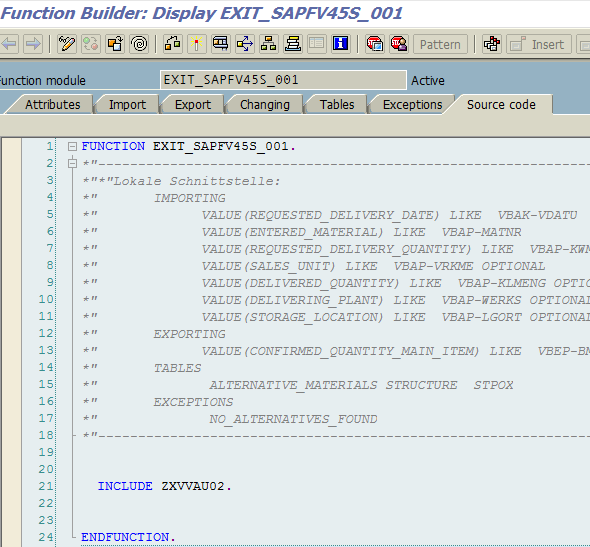 ABAP developers can add their custom codes in provided include ZXVVAU02 without changing the function module EXIT_SAPFV45S_001 code.